All CommitChange nonprofits receive a payout at the first of the month. Do you want to receive your funds weekly, bi-weekly? Did you receive a big donation that you want to have access to now? No problem. 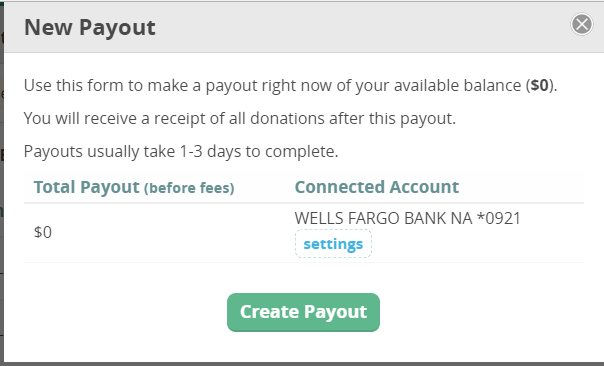 To do a manual payout, access the Transactions Dashboard by clicking on the Piggy Bank icon in the left-hand Dashboard Menu. From the Transactions Dashboard click on the Payouts tab. Create your payout, and you will receive your funds within the next two business days!